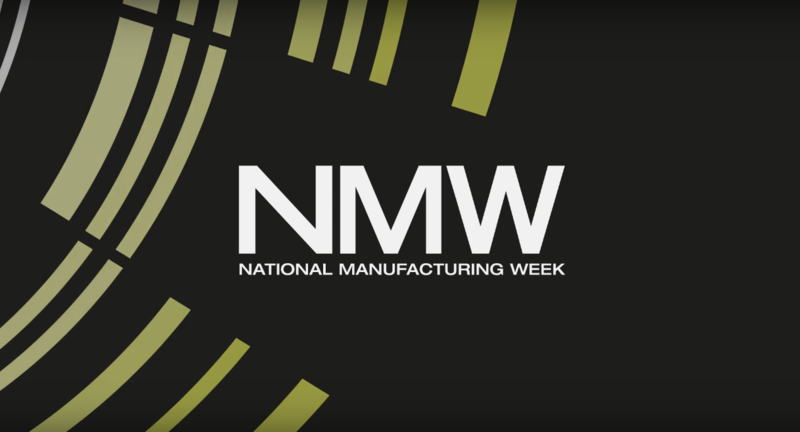 The following speech was delivered by the Australian Advanced Manufacturing Council’s John Pollaers at National Manufacturing Week 2017, which runs from 9 – 12 May in Melbourne. The world is on the cusp of change of a significance we have never seen before. The tectonic plates are shifting. The remarkable technological developments of the recent past will be dwarfed by this next generation of change. And the shifting of the tectonic plates will create new pressures – and relieve others. Why is there so much hype? In 10 years’ time, the number of machine-connected devices will be at least three times the number of human-connected devices. The idea of 50 billion plus connected devices – and the question of how companies can leverage that technology – is reshaping the way global companies are thinking about their businesses. Some time ago, Jeff Immelt, the Global CEO of GE – one of our leading members – said industrial companies were in the information business whether they liked it or not. GE is investing heavily in building software and wireless capability to connect machines like wind turbines, trains, and jet engines. Siemens has long been doing this: investing in efficiency-accelerating technologies such as flexible service models and advanced PLM software. But the hype – the substantial change we are seeing – is in the question “How do you sell a tractor as a service?” My remarks today are structured principally around two things – the WHAT – that is, what is the opportunity for Australia’s manufacturers? And secondly, the HOW – specifically, how can Australia maximize it? The first is the what. The most significant opportunities are in B2B – in high value products and processes – for example, in digitally connected safety equipment in manufacturing, or in remote mining technology, and also in the convergence of the life sciences with the data sciences. This is what is being called the industrial internet in the United States. The German term, “Industry 4.0” is more apt because it describes a fourth industrial revolution. The second is the how. Australia is still a minor player in global production sharing. Between 70 and 80 per cent of global trade is in intermediate goods and services and in capital goods. (The figure varies a little from year to year). The income created within GVCs – Global Value Chains – has doubled, on average, over the last 15 years. In China, income associated with GVCs has grown six-fold. GVCs drive trade today. The UN Conference on Trade and Development shows that our local Australian participation rate in these global value chains is lower than 22 out of the top 25 largest exporting countries. The export intensity of Australian manufacturers (measured as the share of total domestic value added produced by the manufacturing sector to meet foreign final demand) was the lowest in the OECD in 2011 (25.6%) and lower than in 2008 (28.3%) There are early signs of Australian manufacturing reaping gains from joining global production networks, specifically when companies focus on skill-intensive high value production. Australia’s share of total OECD exports of GVC products has doubled over the past decade. Australia has a competitive edge in parts and components specialisation in several product categories including aircraft parts and associated equipment, parts of earth moving and mineral processing machines, and specialised automotive parts. In particular, the share of parts and components in Australian exports has increased continuously, whereas in the OECD countries this share has declined from 81.3 per cent to 45.6 per cent during the same period. In 2012–13, parts and components and final assembly products accounted for 46 per cent of Australian manufacturing exports. The achievements of Australian manufacturing in the new dynamic areas of global production sharing have done much to dispel the prevailing perception of the ‘death of manufacturing’ in Australia. A recent study from the Office of the Chief Economist has validated what the AAMC has been arguing for the past 4 years: This gloomy perception of manufacturing – aside from being false – has created a hurdle for manufacturing firms to recruit and retain talent, to attract potential customers, and to unlock potential opportunities by policy makers. Our political leaders are now pushing the conversation around innovation and technology – and they must be applauded. But of course there are large numbers of people who fear a new world and they long for a time that will never come back. Fear has a habit of allowing imaginations to run riot, at the expense of the facts. And that is where it is salutary to understand the facts – and be ready to make the most of them. As business leaders, we must do better in communicating the significant industrial and technological developments that are underway globally. We must be clear about the meaning of these developments: how will they disrupt the way we currently do business? Will Australia be advantaged or disadvantaged? The fact is that the challenges of the future are also its opportunities. So what is the Fourth Industrial Revolution or Industry 4.0? The ideas behind the Internet of Things (or Cyber-Physical Systems, or Machine-to-Machine Interoperability, or Industrie 4.0, or several other names) are not particularly new. What is new is the convergence of existing technologies and corporate strategies. The term Industrie 4.0 was first used in 2011 at the Hannover Fair – and it is both a prediction of the ways things are headed – and an actuality. It was coined to describe a number of trends and technological developments that are causing a quantum leap in the way things will be made, and how products are being transformed by technology. – The 1st industrial revolution was mechanisation. – The 2nd revolution was electrification. – The 3rd was automation and IT integration. This transformation is still going on in Australia and elsewhere. – And the 4th industrial revolution is about the merging of the cyber and the physical worlds. How will this transform manufacturing? The basic principle is that by connecting machines, work pieces and systems, businesses are creating intelligent networks along the entire value chain. This means greater flexibility – with information gathered in real time, and factories able to adapt more easily to changing requirements. It enables customisation and servitisation of products; and a customer-specific production operation. Factories, supply chains and products become networked and the lines between the physical and digital world become increasingly blurred. Virtualisation enables the so-called Smart Factory by linking sensor data (from monitoring physical processes) with virtual plant models and simulation models. There are many challenges ahead – and perhaps the most significant among them is developing global industry standards. It is important to note that the world’s two industrial powerhouses, Germany and the United States, recently came together to work collaboratively on this – to work towards aligning global standards and technologies. Australia’s own Prime Minister’s Industry 4.0 Taskforce is closely supporting that effort – aiming to ensure Australia is connected globally. The future for advanced manufacturing is high value, high margin products – and this means constant innovation and flexibility. Technology developments enable that flexibility at the level of the factory and the entire manufacturing system. Production will become increasingly distributed. 1. The first is a greater ability to co-locate research, design and manufacturing – accelerating the innovation process. 2. The second is a bigger market – we are no longer constrained by the size of our domestic market. Australia has room for improvement in gaining access to export markets and the global supply chains of multinationals. The ‘tyranny of distance’ is not a binding constraint on exporting specialised parts and components, and some final assembly goods from Australia. The evidence shows that Australia’s domestic technological capabilities are comparatively more valuable compared to the average global experience. And with advancements in technology, there is a greater ability to take lower value production closer to markets so as to optimise the production chain against factors like transport costs or local content requirements. What this highlights of course is the need to continually focus our efforts on talent development, on Science, Technology, Engineering and Mathematics, and on the development of our business capabilities in Australia – in order to capture the highest value from the opportunity. The fact is many Australian manufacturers are not only surviving, but prospering. These are an estimated 2500 companies tapping new areas of growth and taking their innovations to global markets. They are not waiting for something to happen – they are making it happen. The past 2-4 years have seen important changes not only in the way Australians think about manufacturing but in the way we see the world. There is a major shift in understanding about what is possible – that Australia can compete – in high value products and using innovative processes. And we can win. 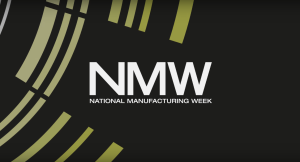 – The Australian Industry Group Australian Performance of Manufacturing Index (Australian PMI®) recorded its sixth consecutive month of expansion in March and rose to its highest level in nearly 15 years in February. – The period since 2002 has been particularly difficult for Australia’s manufacturers in the face of the phenomenal expansion of China’s manufacturing sector, extended periods of domestic currency strength and volatility in global confidence, activity and trade. – Australian manufacturers have a culture of constant innovation – they are surviving and thriving precisely because they constantly innovate. – Australia’s advanced manufacturers are finding new export markets and they are transforming business models. Cochlear, the makers of the bionic ear, posted a new profit record recently jumping to net profit of $119 million in the first half of this financial year. I toured the factory recently and the company is remarkable for a number of reasons – not least of which is that it continues to move into extraordinary territory in terms of its technology: among other things, recipients of the implants can now stream wirelessly from their iPhones. The Australian company, Micro-X, has designed and developed a world-first mobile X-ray machine – and is supplying the global leading supplier of digital X-ray equipment in the United States. Geelong manufacturer Carbon Revolution scored a landmark coup to supply the Ford motor company globally with a world-first. It became the first company in the world to supply mass-produced carbon fibre wheels on standard equipment for a major automaker. And just on the auto industry, Ford, which recently joined the AAMC, represents as much about the future of advanced manufacturing opportunities in Australia as it does the past. While we will no longer have Falcons and Territorys being built here, Australian designers and engineers, based in Australia, will continue creating future Ranger utes and Everest SUVs for Australia and the world. And, many of Ford’s suppliers are innovating and diversifying to be part of a new global automotive future. Ford reports that 20 suppliers have already earned business with the company on global vehicle development program… with more match-making opportunities in the works. Australia has benefited from the commodity boom but we now need to diversify our sources of revenues. Transitioning to higher technology industries will diversify Australia’s trade exposure from being a price taker – for commodities – into a price maker for relatively scarce and exceptional products. And this has concentrated Government policymaking and support in areas where Australia has a competitive advantage – in mining, in energy, in advanced manufacturing, in medical devices, in food and agribusiness – and more recently, in cyber security. The Growth Centre Initiative that was started by the Government in its last term goes to the heart of this. The Federal Government spends A$10 billion a year through Australian Research Council (ARC) grants, through R&D tax incentives, through defence science and technology development, in national health and medical research, and through the CSIRO. The Growth Centre initiative seeks to corral that A$10 billion a year around the areas where Australia has competitive advantage. This has not happened before in a systemic way. It is essential that a greater proportion of these funds is concentrated on where Australia can win. The Growth Centre Advisory Council headed by John Grill has been steering this. And now there are multiple Growth Centres established, all focused on strengthening Australia’s comparative advantages. The big challenge is to see a concentration of this funding around technologies where we have great prospects – where the investments will have impact – for example, in nanotechnology (this is what led to the Micro-X success), in carbon fibre, and in the digitalisation of manufacturing – to name just three contenders. We want to see this implemented through a program office approach – a national framework with a coherent set of interrelated policies, strategies, activities and investments – designed to ensure the initiatives are delivered. The concepts are complicated and often hard to communicate. But where does the rubber hit the road? The Government has committed some A$32.4 billion in 2016-17 to defence spending, growing year-after- year. Defence procurement is a once in a generation opportunity that will help to retool the Australian manufacturing sector – not only to introduce digitalised manufacturing but also in a way that integrates Australia into global supply chains. In the Defence Whitepaper, the Government called for the establishment of ‘sovereign capability’ in the ship building industry. We have to give sovereign capability definition. We have to – as industry leaders – say what technologies and manufacturing skills we need to build in this country, to have the rudiments – and in fact more than the rudiments, the competitive edge – in manufacturing and innovation. We need to develop and sustain enduring in-country capabilities. The Australian defence industry is world class and globally competitive, but it does not have full access to major global value chains. What are the must-have technologies, processes and outcomes? What design capability do we need as a nation and how can we be competitive on a global scale? objective. As I mentioned, global supply chains represent between 70 and 80 per cent of world trade. The Australian Advanced Manufacturing Council is a CEO-led organisation that has proselytised the benefits of this, and has set about correcting the negative image of manufacturing in Australia. We have been encouraging Governments to use whatever is within their power to retain and grow Australian intellectual property – from tax incentives to driving research-industry collaboration, to revising upwards the definition of small business to better reflect the realities of a global economy. will have a bright and self-sustaining future. Get it wrong and we will be back here in 50 years’ time asking foreign companies to again supply their IP and know how to build the next generation of manufactured goods. Business must step up Government is requiring – and industry is demanding – that industry LEAD the prioritization of allocation decisions and reforms around technologies and sectors in which Australia has comparative advantages. But is there a full understanding at the highest reaches of our corporate leadership? I believe there continues to be a grave underestimation of the value that science and innovation can bring to companies. – Where once your organisation may have needed to reinvent itself every few decades, today, an onslaught of shocks – technological, cultural, economic, and regulatory – will force you to transform every few years. – Where once your CEO might have become a business icon through a single transformation – the minimum requirement now is being able to execute multiple transformations. – Success today means fostering a culture of continuous reinvention—reinvention in your business models, customer interactions, employee engagement, and the markets you serve. – We need to fully appreciate the power of analytical systems, be able to establish employee familiarity and ensure organisations have the right talent to leverage technology opportunities. 1. We ask that they recognize that Australia does have a thriving advanced manufacturing sector – one that is world class and participating in global supply chains – and that they look for those successes and understand them. 2. We ask that they look at what is occurring in North America, in Europe and locally. Digital technologies are transforming design, engineering and production processes. Industry 4.0 is creating game changing possibilities. 3. We ask that companies investigate working with our world class research sector and find ways to develop their own IP or collaborate on generating new IP that will differentiate their products and/or your processes and open up new markets for them – and for Australia. 4. We ask that they recognise and embrace the fact that the industrial world is changing and that embracing these developments provides huge potential for the future of manufacturing in Australia.